Israeli firm signs contract in tens of millions of dollars for supply of Hermes 450, Hermes 900 UAVs. Elbit Systems Ltd. announced Sunday that it has been awarded a contract in "many dozens of millions of dollars" for supply of a fleet of Unmanned Aerial Vehicles (UAVs) to an unspecified client in South America. The UAVs will be supplied over a period of two years. The contract is for the supply of Hermes 450 and Hermes 900 UAVs as well as Universal Ground Control Stations (UGCS), and a range of designated payloads including electro-optic payloads by Elbit's electro-optics subsidiary El-Op, COMINT payloads by Elisra, a multipurpose SAR/MPR payload and other sensors. 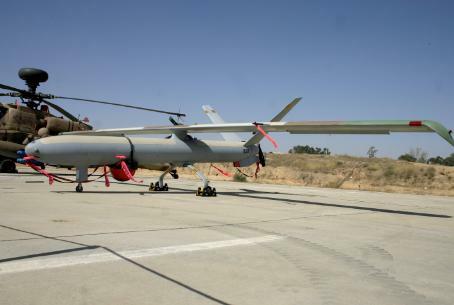 The backbone of the IAF's UAV fleet is made up of UAVs based on the Hermes 450 platform, which was developed by Elbit. The Hermes 900 can fly at higher altitudes than the 450, stay airborne longer and carry heavier payloads.